Kevlar vests may be able to stop bullets in their tracks, but they’re also impermeable to water vapor. Translation? The police officers who wear them have to remain cool under pressure, despite the sweat and discomfort warmer weather brings. Scientists from the Swiss Federal Laboratories for Materials Science and Technology (EMPA), however, have devised a new “smart” protective garment that comes with a built-in cooling system. Based on Coolpad technology, originally designed to cool garments in the medical field, the vest features water-filled membranes that bring down the surrounding temperature during evaporation. A mini-fan, which blasts air through a fabric spacer behind the pad, further lowers the risk of overheating. Furnishing a piece of clothing with its very own air-conditioner is as tricky as it sounds. EMPA had to work with Eschler, a local textile manufacturer, to create a fabric spacer that was at once stable, flexible, and amenable to air flow. Because researchers couldn’t find a fan that was small enough to insert into the vest, EMPA ended up designing its own. Likewise, the original Coolpads leaked water if they were subjected to frequent mechanical stress. The engineers decided to weld the membranes together using diode lasers, resulting in a seam that was softer and more pliable. Test volunteers from the Zürich City police force have also given the vest their seal of approval. 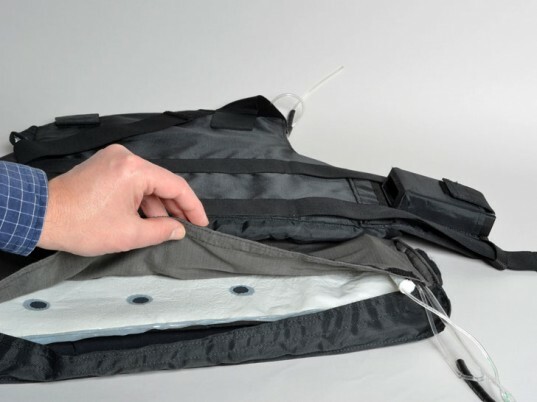 To simplify refilling the Coolpads with water, the EMPA team developed a portable filling station that attaches to the vest with a quick-release fastener. Coupled with a freshly charged set of batteries, the vest lasts for three to four hours of duty. I'm a Deputy and was just wondering if the air conditioning vest is for sale. If yes where could i purchase one? Kevlar vests may be able to stop bullets in their tracks, but they're also impermeable to water vapor. Translation? The police officers who wear them have to remain cool under pressure, despite the sweat and discomfort warmer weather brings. 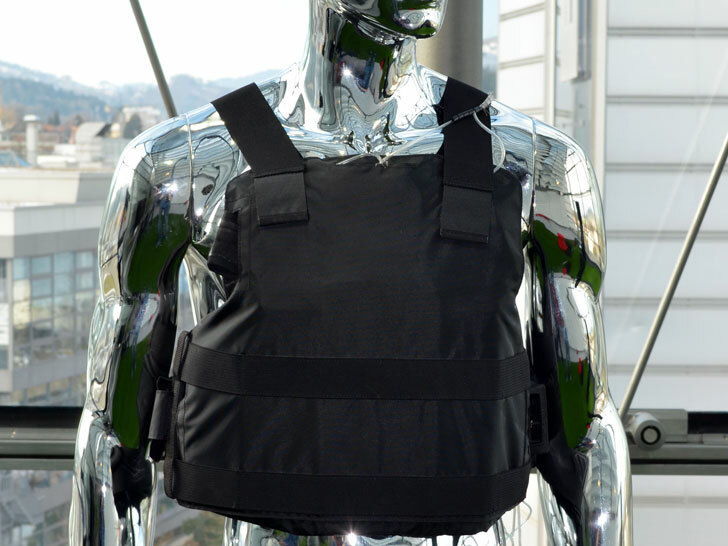 Scientists from the Swiss Federal Laboratories for Materials Science and Technology (EMPA), however, have devised a new "smart" protective garment that comes with a built-in cooling system. Based on Coolpad technology, originally designed to cool garments in the medical field, the vest features water-filled membranes that bring down the surrounding temperature during evaporation. A mini-fan, which blasts air through a fabric spacer behind the pad, further lowers the risk of overheating.